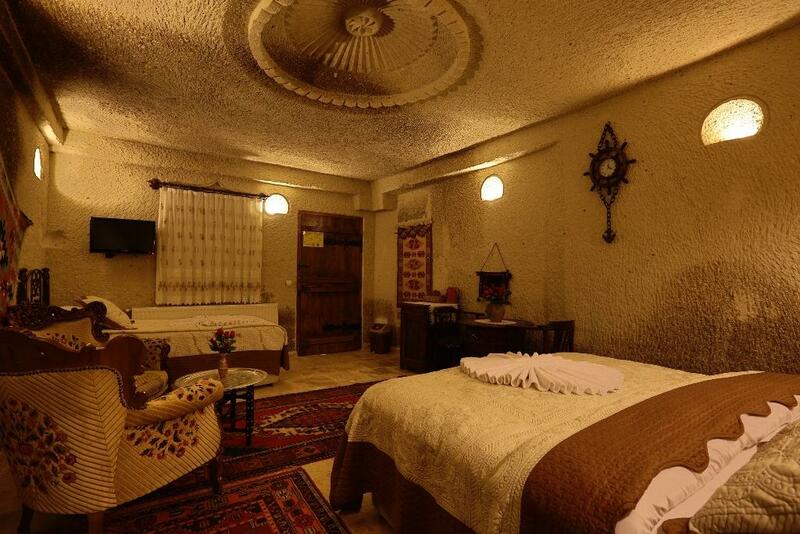 Images Room Details Sold Sold Sold Sold Sold 105 Sold Sold Sold Sold Sold Sold Sold Sold Book Now! 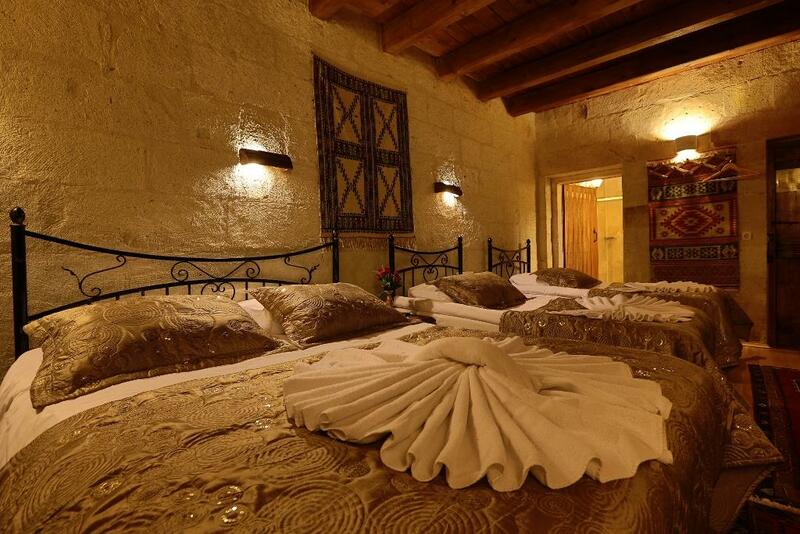 There are direct flights from Istanbul, Ankara, Izmir,Antalya to Cappadocia.There are two airports in the region; Kayseri Eriklet Airport (70 km to Göreme) and Nevsehir Cappadocia Airport (40 km to Göreme).And there is a shuttle service from the airports coming directly our hotel.We can arrange a shuttle bus for you from the airports. 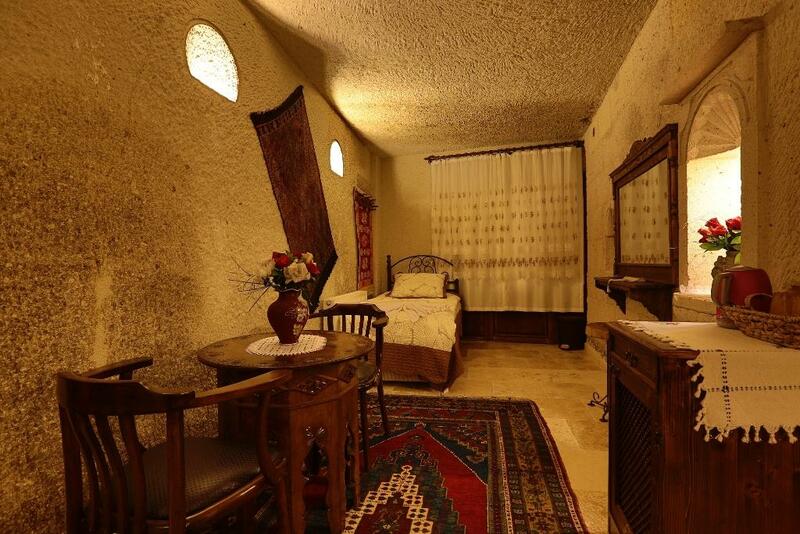 (25 tl Nevsehir Cappadocia Airport per person – – 25tl Kayseri Eriklet Airport per person). 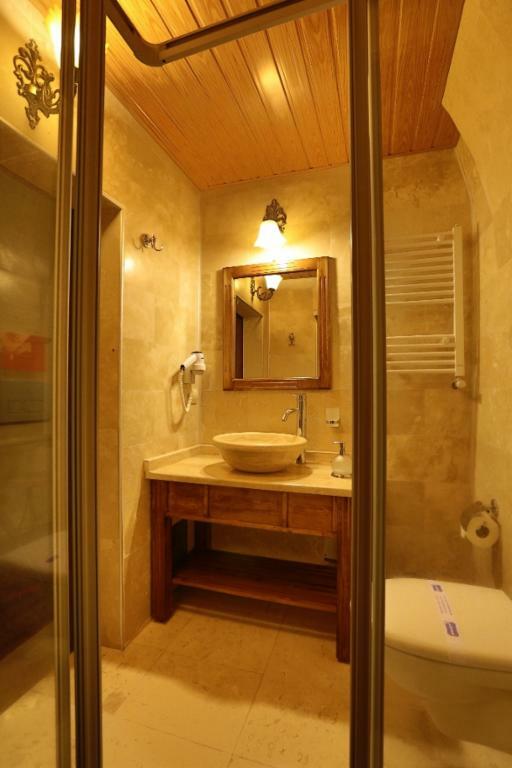 Some bus companies have direct buses to Göreme from destinations; ISTANBUL, ANKARA, IZMIR, ANTALYA, KONYA, KAYSERI, ADANA, DENIZLI and other some of them in Turkey. 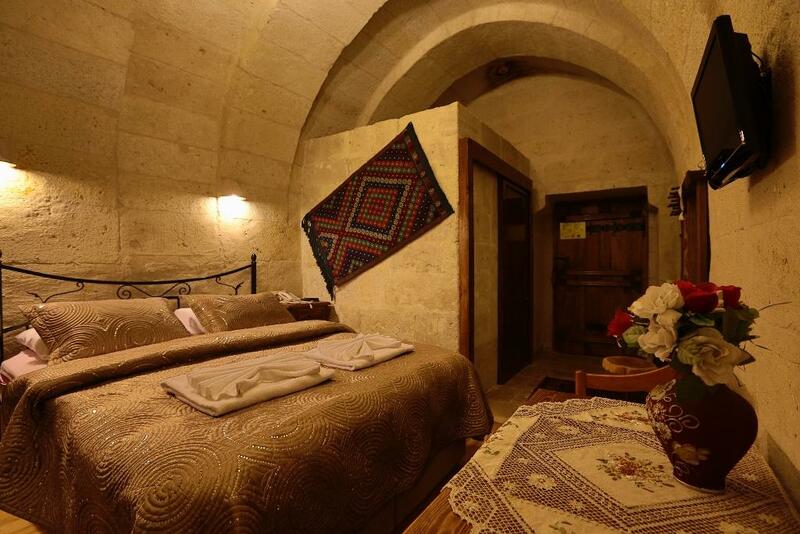 Most popular companies are Süha, Metro and Nevsehir Tourism Agencies.If you tell us your time of arrival to Goreme.And when you arrived to Göreme Bus Station, opposite the bus station you will see TOURIST INFORMATION OFFICE, ask them Safran Cave Hotel.They will call us. 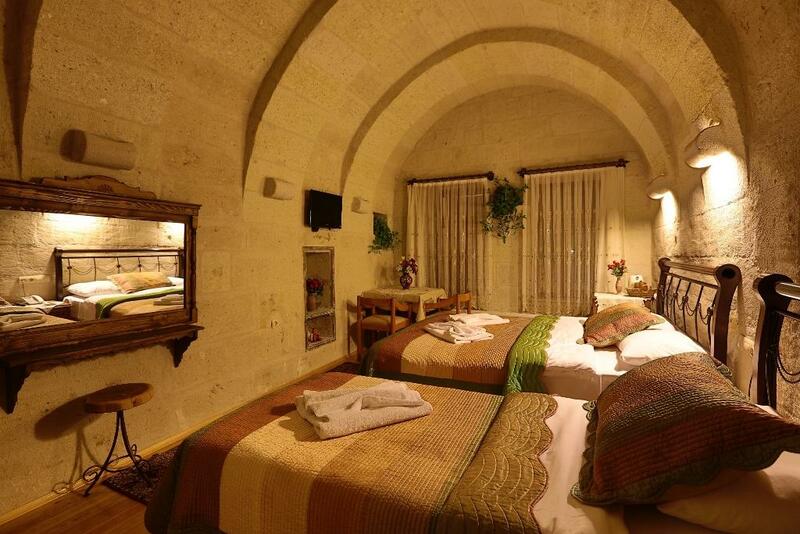 We can pick up you from Göreme Bus Station(free) or you can walk only 2 minutes to our hotel. 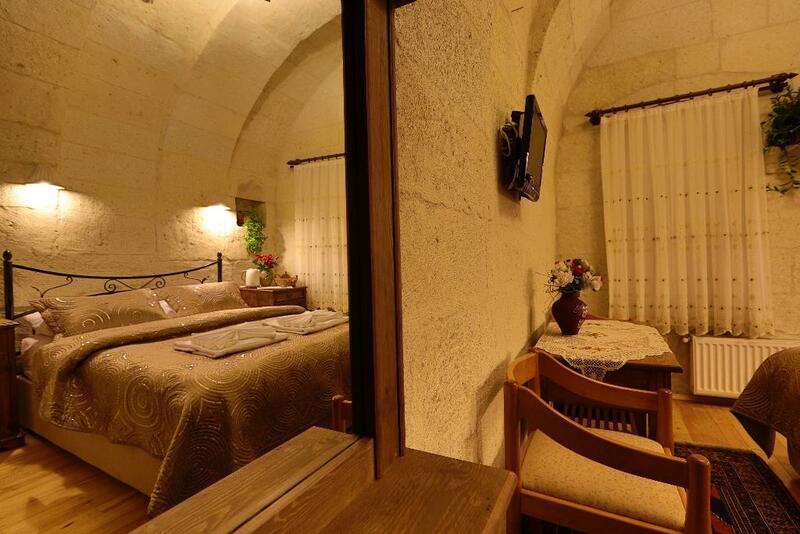 on the left side 15 meters later in the streetyou will see SAFRAN CAVE HOTEL. 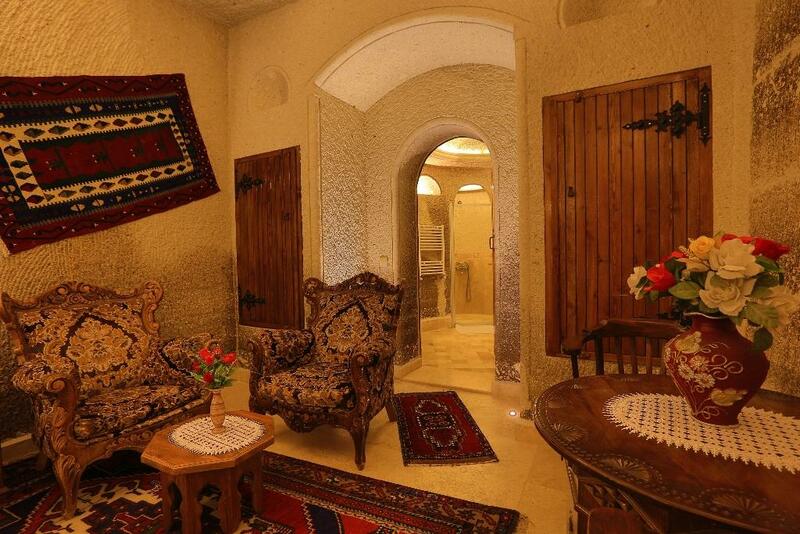 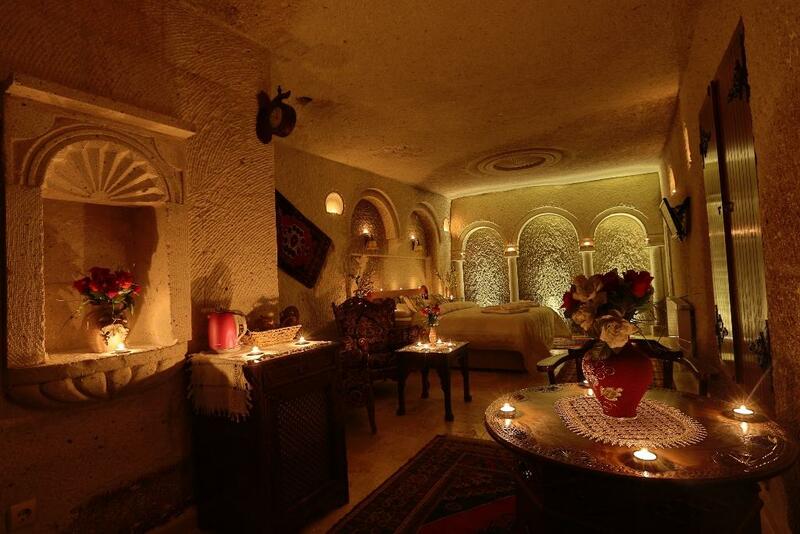 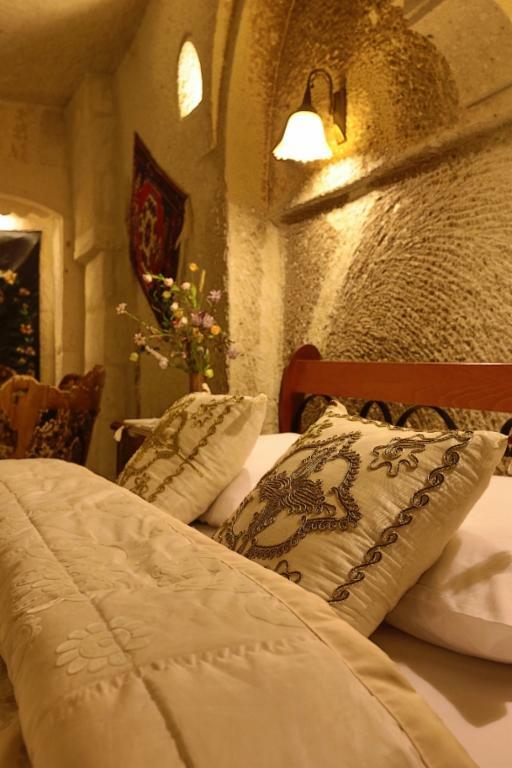 on the right side 15 meters later in the street you will see SAFRAN CAVE HOTEL. 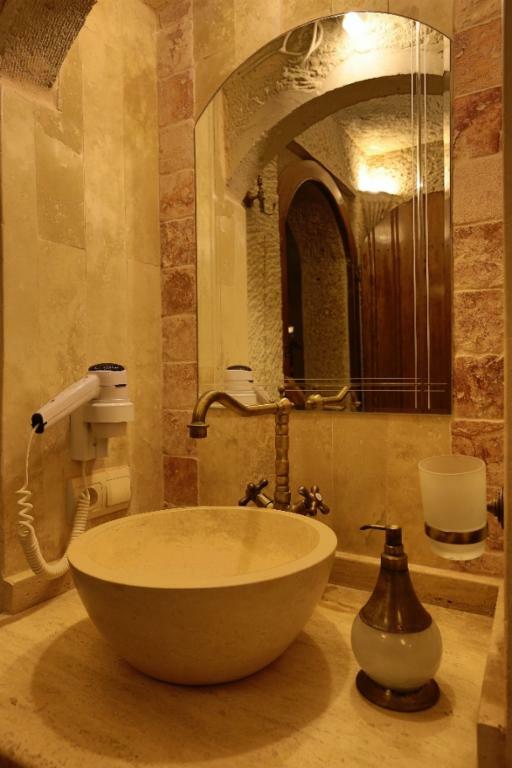 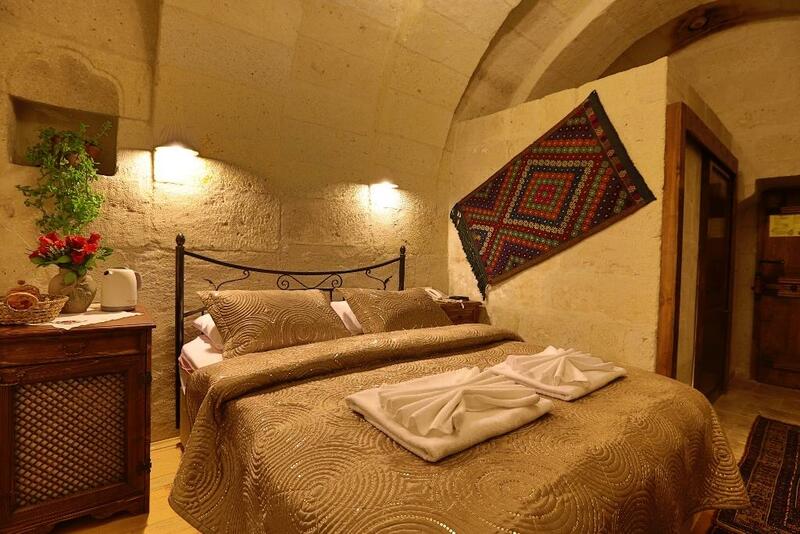 Built with local stones and having a wooden ceiling, this room features a flat-screen TV and a private bathroom with toiletries, hairdryer and slippers. 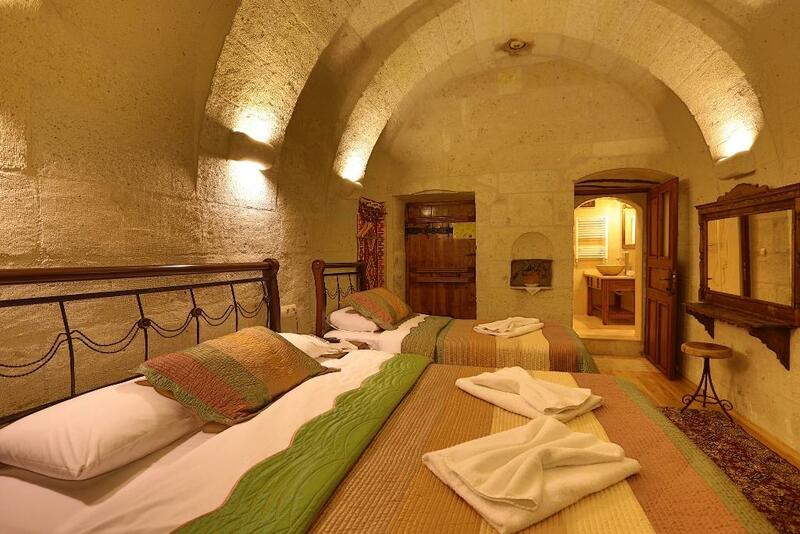 Offers a wooden ceiling, stone walls and a TV. 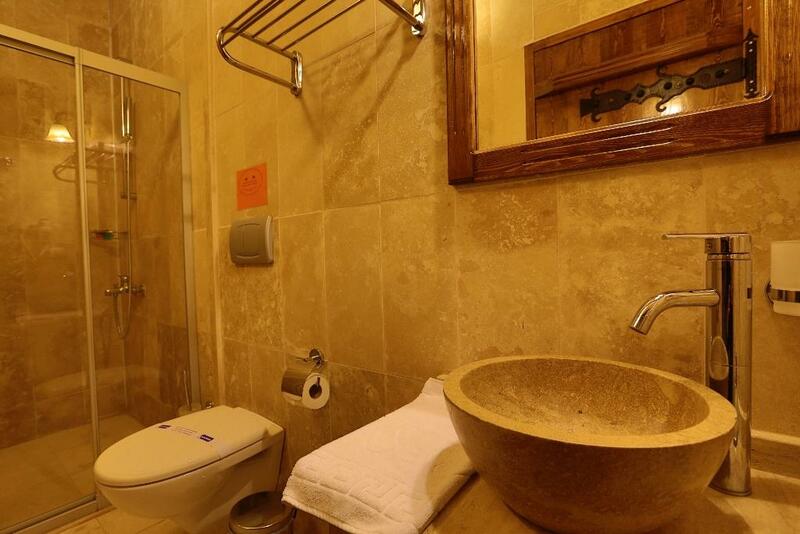 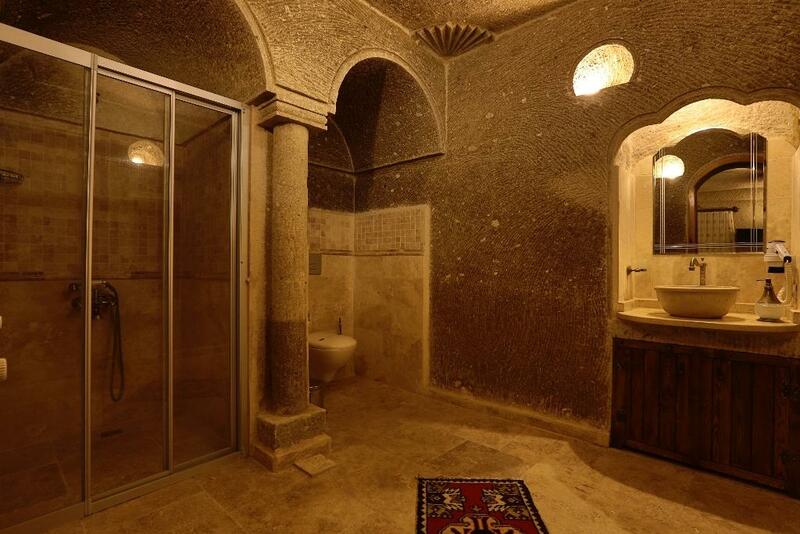 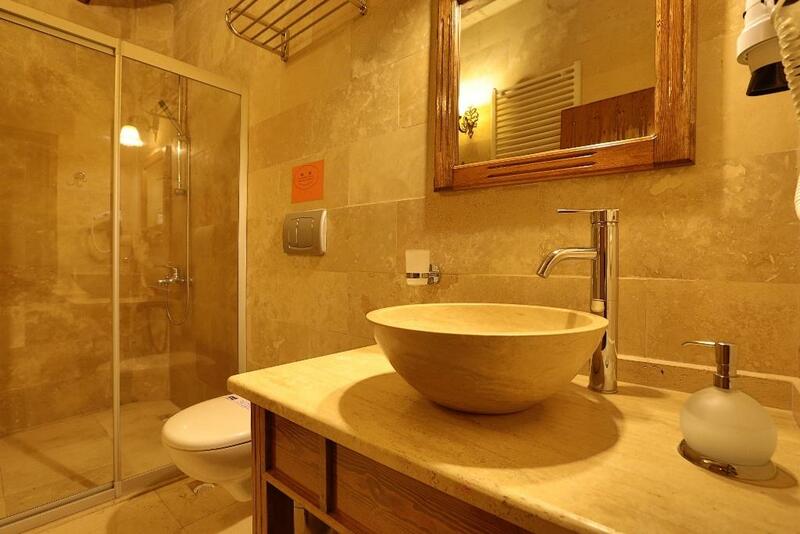 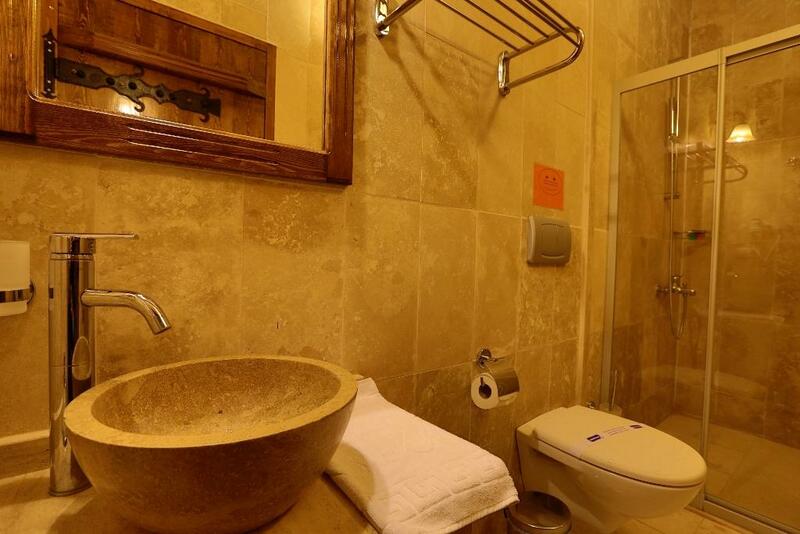 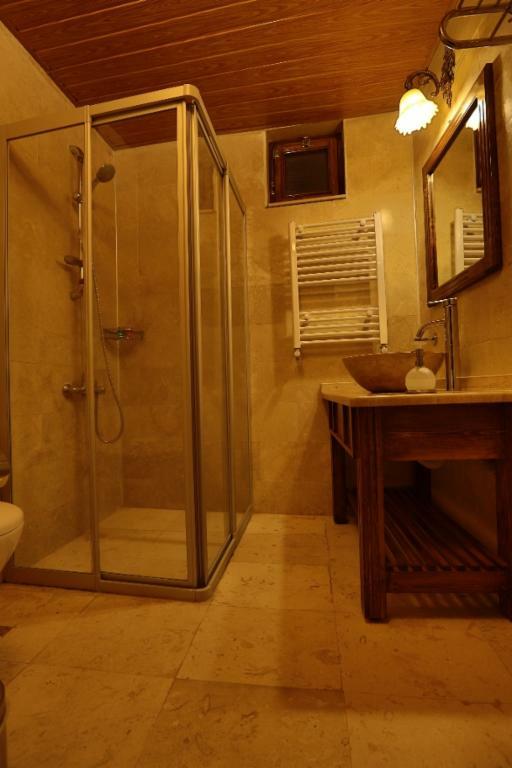 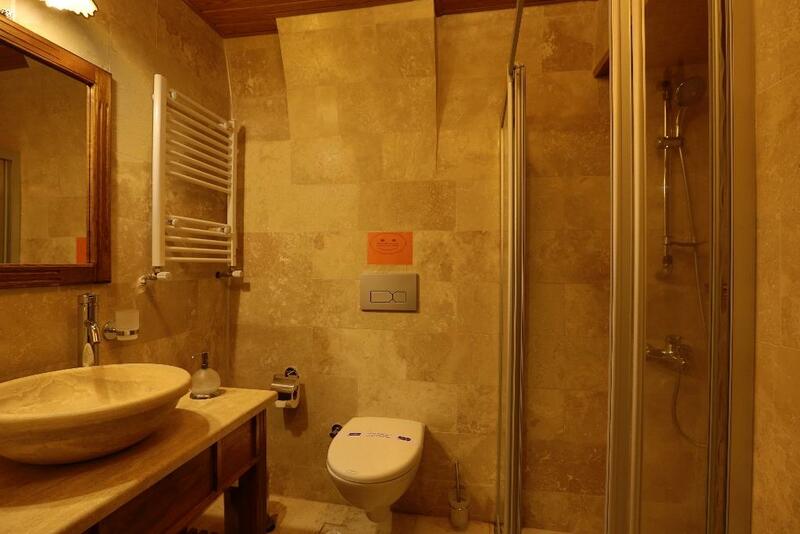 The private bathroom comes with a shower, free toiletries and a hairdryer. 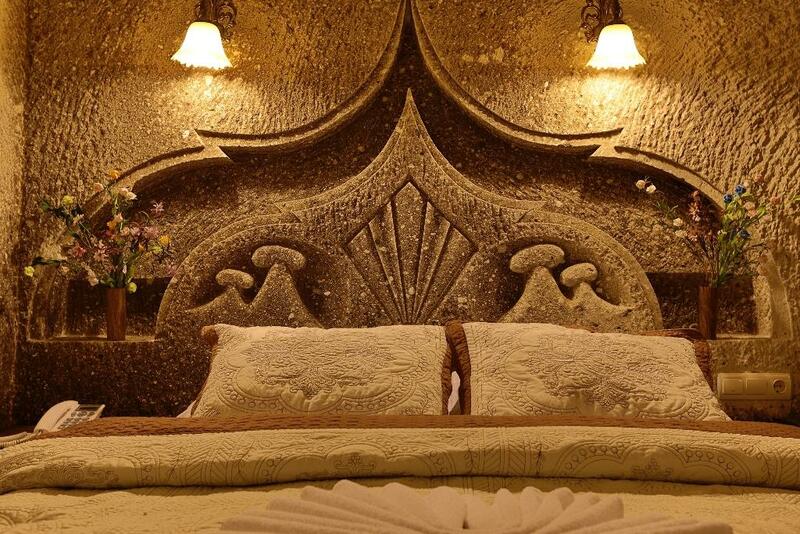 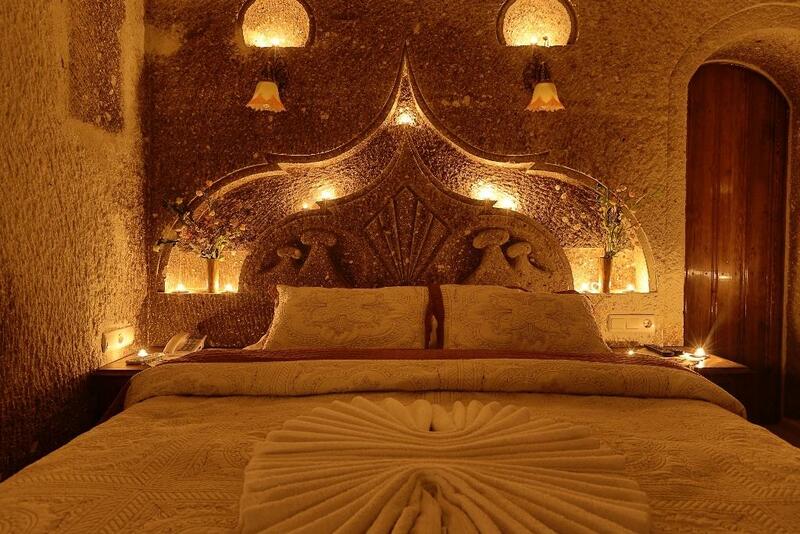 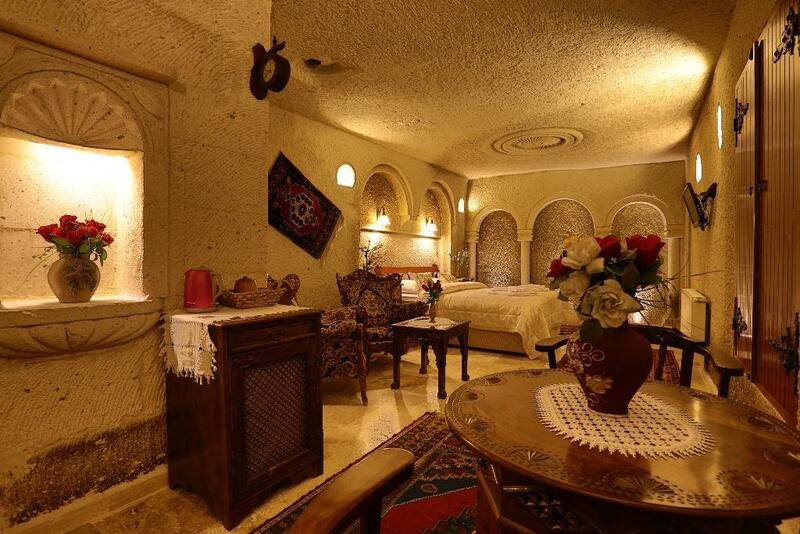 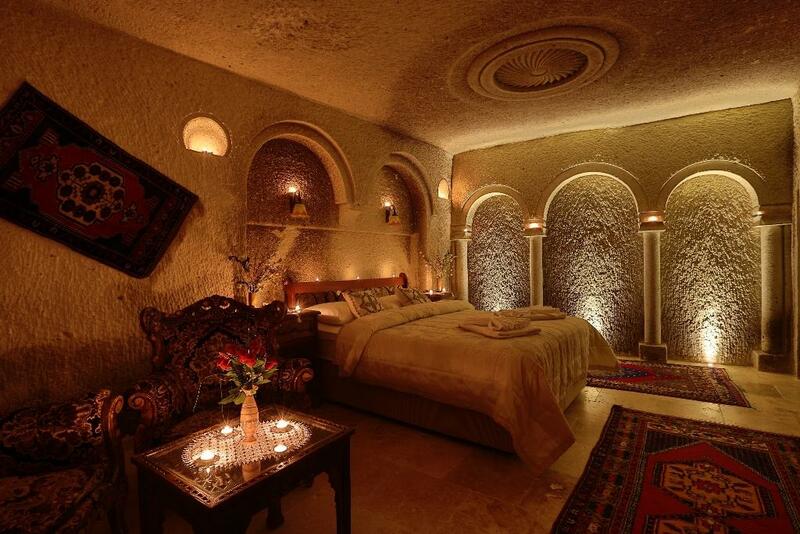 Caved into a rock, this suite features special carvings on the walls. 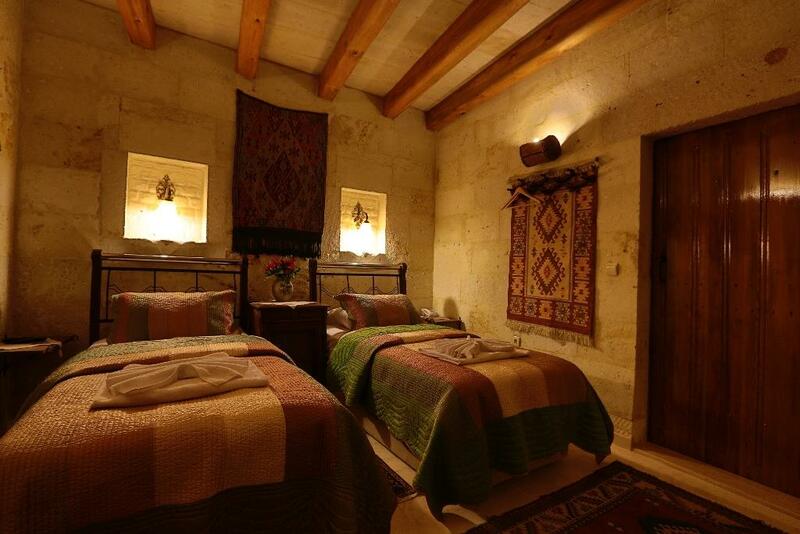 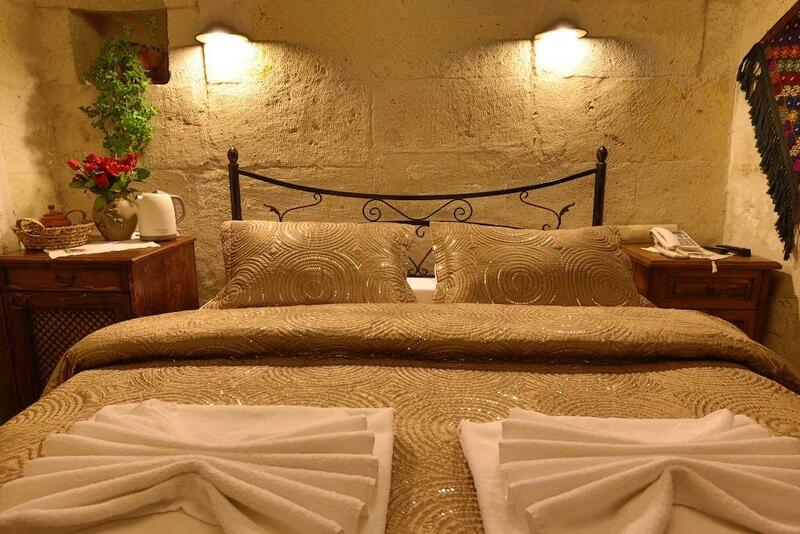 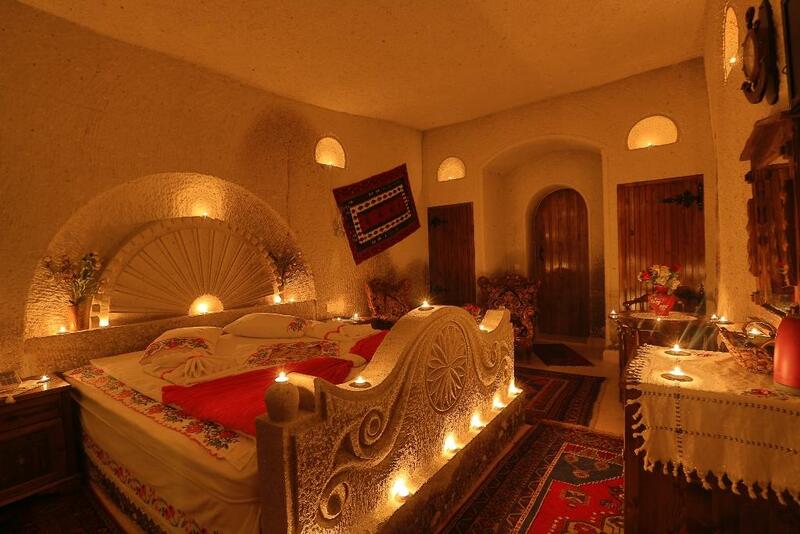 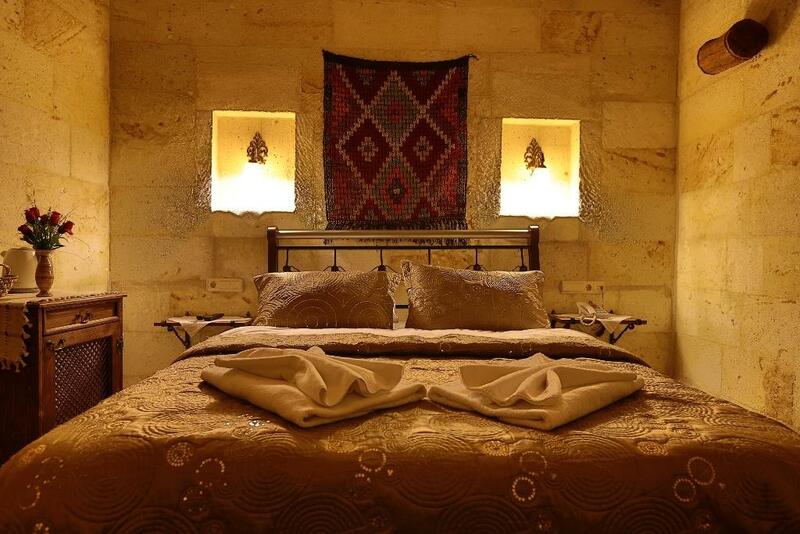 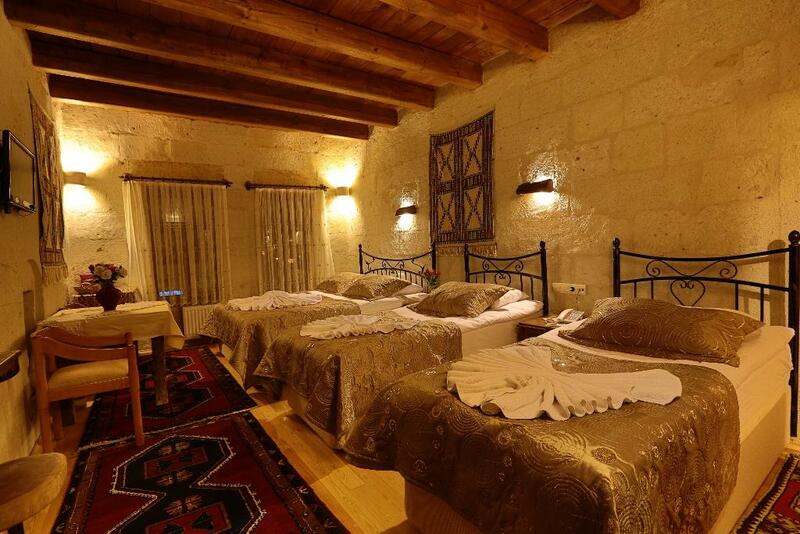 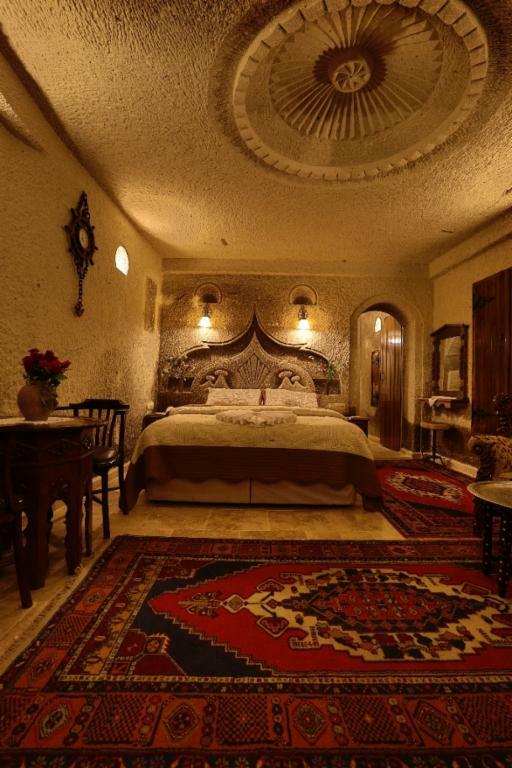 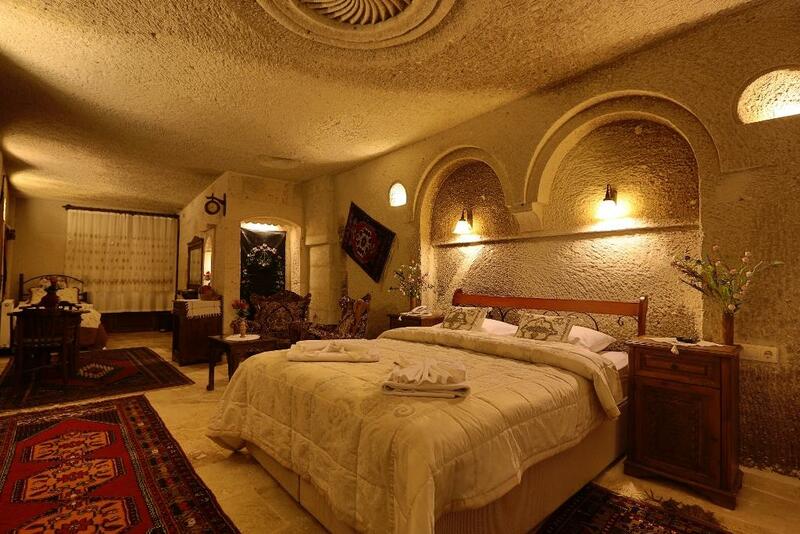 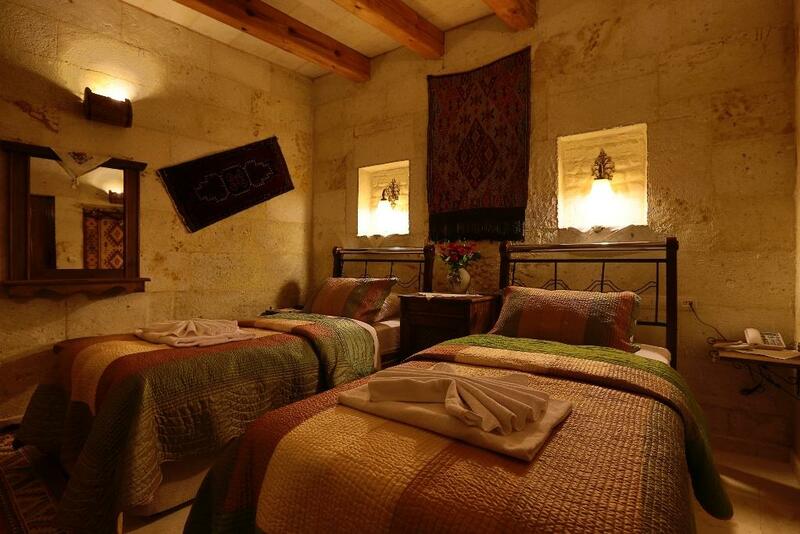 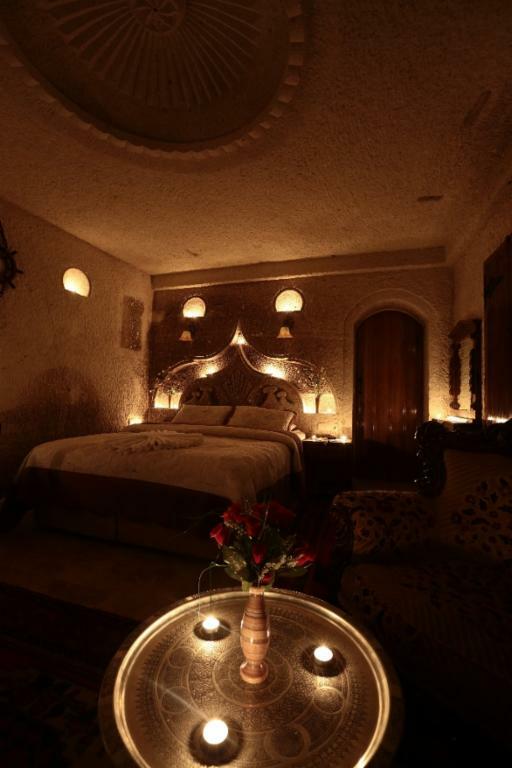 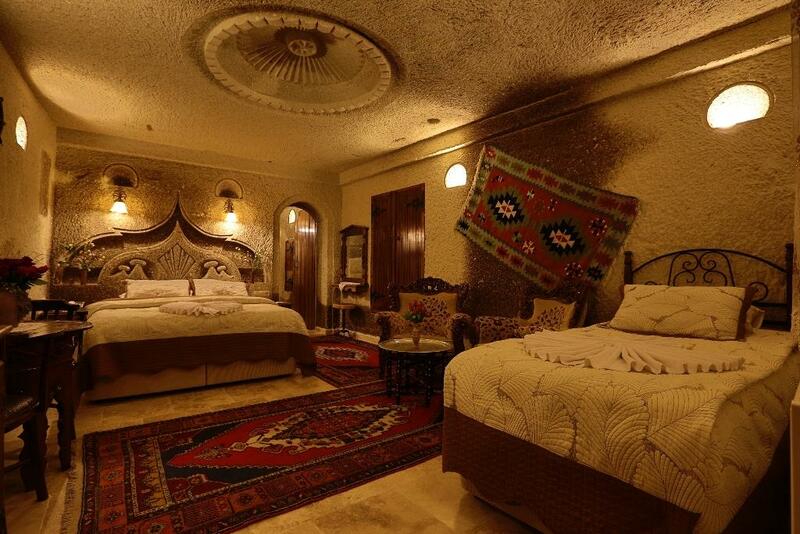 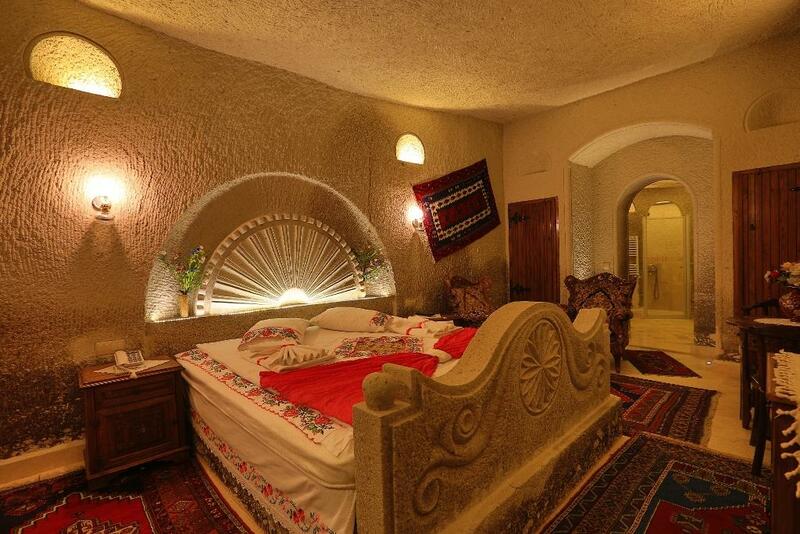 Built with local stones and having a wooden ceiling, this room offers 1 double bed and 2 single beds. 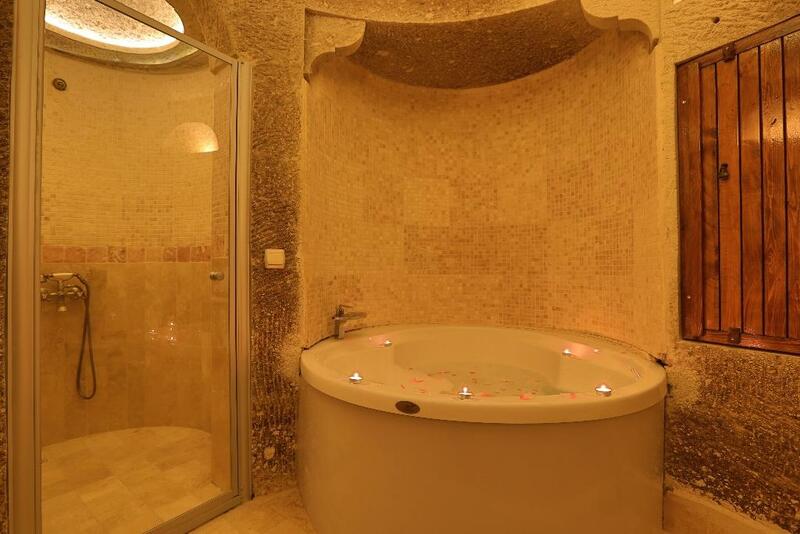 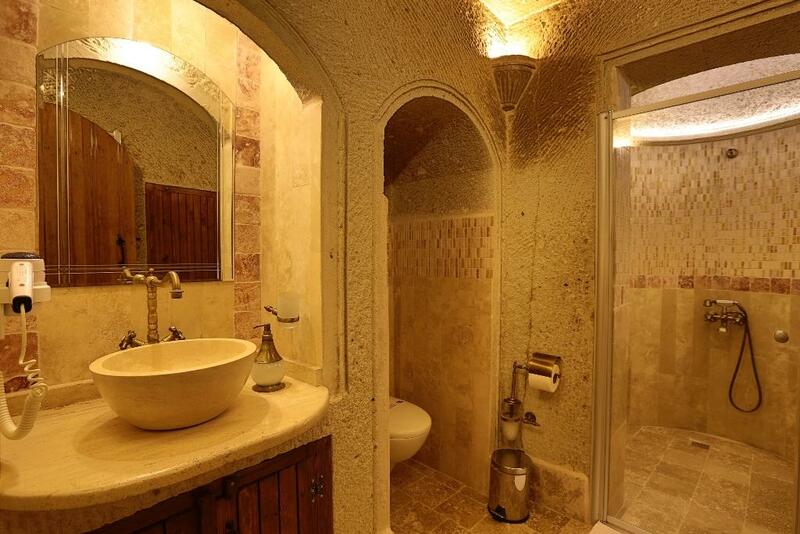 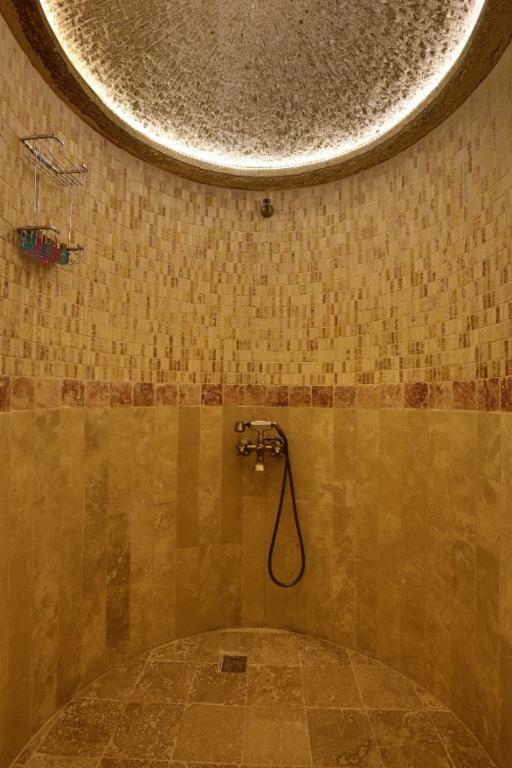 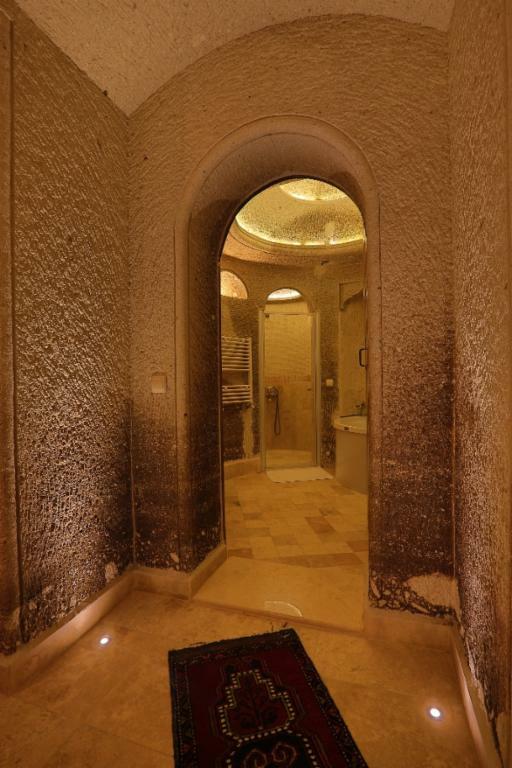 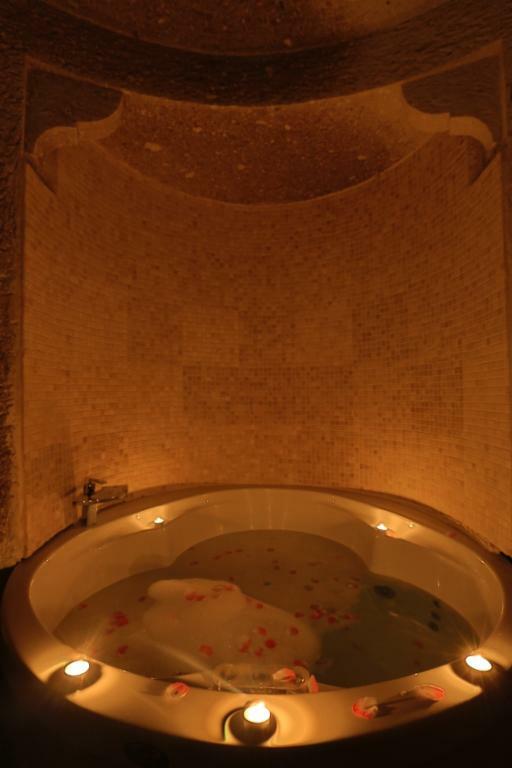 Caved into a rock, this suite features a 2-person spa bath, a flat-screen TV and a shower.